It's that time of year again and oh, do I feel your pain. But, with a little dose of common-sense-smarts and cleverness, you don't have to spend the equivalent of a mortgage payment on your Passover shopping. Here are eleven tried-and-true hacks for saving money on Passover shopping. 1. Don't buy specially certified items if they don't require special certification. In the current 2019 OU Passover handbook, there is a list of items that are approved for Passover without any special certification. Read it, learn it, print it out, take it with you when you shop! Buying anything with special KFP (kosher for Passover) certification is going to be more expensive than buying plain old anything that's kosher-year-round. 2. If you're a Costco member, shop for Passover there first! If you've never thought of Costco as a Pesach resource before, you will be shocked at how many things you can buy there at a fraction of the cost of your local kosher supermarket, yes, even if they don't have a special kosher-for Passover section. Here is Daily Cheapskate's 2019 Passover shopping list at Costco. 3. Get creative! Think out of the (Passover) box! Let me give you a couple of examples of money-saving Pesach thinking: Out-of-the-box tip #1: investing in a pump (like this one) filled with extra virgin olive oil will be much cheaper in the long run than buying a few cans of those mucho-expensive KFP cooking sprays. (make sure that the spray bottle is completely oil-free, clean and dry before putting it away after Pesach or you will start next Pesach with a spray bottle full of mold. BTDT.) Out-of-the-box tip #2: consider alternate brands! Buy Bigelow herbal tea, which has many flavors that are KFP year-round (Kof-K-P)instead of buying specially KFP certified Wisotsky tea at twice the price. Boxes of 20-count Bigelow are usually around $2.50 or less. 4. Write it down, make lists, take notes, lots and lots of notes! Keep four basic lists: 1) what you need to buy, 2) what you cooked/baked, 3) which supplies you actually used (quantities), and 4) what you need to replace for next year. Keep a running list from year-to-year on what you need to buy, the best place to buy it, and how much it costs. I'm not talking about a one-time use Pesach shopping list, but a Master List that you can use from year to year. I have an example of a Master List that is over thirteen years old. My actual Master List evolves from year to year, depending on what our needs are, how many guests we are planning on having, etc. Keep in mind that my Master List will be very different from your Master List, but feel free to use this as a template starting point (copy and paste it and then edit it accordingly). Keep the list on your computer, not on a million different pieces of paper that will get lost from year to year. Save the previous year's list and then update it every year. Also, keep each year's Yom Tov menus, as well as recipes that worked (and make a note of recipes that failed) on your computer as well. Right after Pesach is over, write yourself a note after Pesach on how many eggs, boxes of shmurah matzoh, bottles of grape juice, etc. to buy for next year. Also write down which appliances and tableware items need to be replaced for next year, so that you can shop at your leisure during the year, and not in a panic on the week before Pesach. 5. Take advantage of Passover coupons and rebates. Small savings add up! Kedem has a on ongoing rebate on their sparkling grape juices, and Natural & Kosher has got an evergreen rebate going on their cheese. Make sure to print out coupons for cleaning products as well. 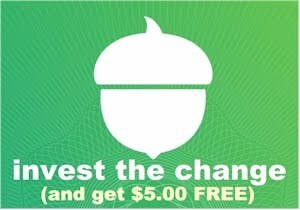 Unfortunately, Osem discontinued their online coupons this year, but they will mail them to you as a courtesy if you contact Osem and request them. Large Eastern supermarket chains like ShopRite also give out valuable Passover coupon booklets each year. It might seem like a just a few cents here and a few dollars there, but these tiny discounts add up quickly! 6. When purchasing appliances for your Passover kitchen, know when to cut corners and when to invest. What do I mean by this? When buying appliances for Pesach, you need to find a balance between buying something that you will use for only one-to-two weeks a year to buying something that will last for the next twenty Passovers. For example, I think a good sturdy mixer for Passover is a must. The mixer that you buy is going to see a lot of action on the week before and during Passover, so you want to get something solid. However, you will not need a dough hook (no challah dough on Pesach!) and you won't need high-wattage motor (most Pesach batters are light, especially if they are not gebrokts), so really, ask yourself, do you really need to drop $400 on a KitchenAid? How about this $38 Dash mixer instead? Same thing with an immersion blender, food processor, toaster oven, hand mixer, slow cooker, etc. You don't need to buy the absolute best, top-of-the-line appliances. Figure out how much use the appliance will be getting over the course of the week before Pesach and on Pesach itself. Don't buy no-brand junk that will fall apart after one holiday, but skip the top-of-the-line name brands, unless you can really find them at a special discount. 7. There's an app for that! All three major kashrus organizations have apps that are invaluable for Passover shopping. Right now, before you buy a single thing for Passover, install the OU app, the Star-K app, and the CRC app on your cellphone. Don't shop without them. They contain lists and databases of information you need on KFP items. You use apps for everything else in your life, why not KFP shopping? And of course, all the kashrut apps are FREE! 8. Back to basics! I haven't bought a pricey KFP cake mix since forever. No need, with all the wonderful and easy Passover cake recipes online these days. Truth is, while we are certainly not health nuts, and we opt for convenience much more during the year, on Passover, we eat very few hyper-processed foods. We go back to basics and eat a lot of fresh fruits and vegetables, eggs, fish, poultry, etc. I make my own salad dressing, meat sauces, etc.. We never buy KFP cereal, but opt for egg-white omelets with mushrooms, onions, and cheese for breakfast. Skip most of the canned and frozen vegetables and raid your fresh vegetable stand. Use Pesach as an excuse to revert to more healthy eating for a week. 9. Invest in long-term solutions instead of short-term band-aids. For example, do you cover your counters every year? Instead of covering your countertops with shelf paper, plastic or foil or some other disposable covering each year, invest in permanent covers. It doesn't have to cost a fortune. Sixteen years ago, we bought heavy-duty cardboard, measured and cut it to fit exactly to all of our kitchen countertops, and then covered the cutouts with vinyl. Each year, instead of spending two hours before Pesach covering our counters, I just whip out the pre-made covers and fit them in place, which takes all of three minutes. The vinyl makes cleanups easy (whereas the shelf paper always got tacky and messy), and after Pesach is over, I wipe them down, and put them away (flat against the wall in basement storage) for next year. If you’re willing to invest a bit more, you can get super-practical plexiglass counter-covers measured and cut. You can do the same thing with shelf liners for your Pesach cabinets. Cut vinyl to the proper sizes, label each liner on the back with a Sharpie (i.e. right cupboard, 3rd shelf) and reuse them instead of spending hours measuring and cutting liner paper for all your shelves anew each year. 10. Shop for Passover all year round. Go down your list. 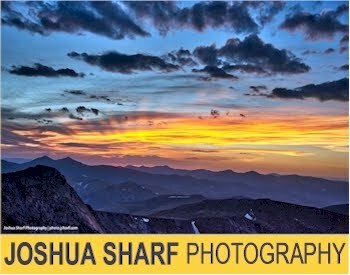 Separate out the items that don’t require a special KFP hechsher (or routinely have a KFP hechsher year-round) and keep an eye out for discounts and sales. Some examples: foil, plastic tableware items, sugar (C&H and Domino are KFP year-round), extra virgin olive oil, canned goods from heimishe brands, etc. Clear a corner in your basement, put a large box there and start accumulating non-perishables, so that you are not faced with a $1,200 shopping list two weeks before Pesach. As far as tableware and appliances you’ll need for Pesach, shop all year-round for those, too. If I know that my Pesach slow cooker is on its last legs, I make a note and keep an eye out for Crock Pot sales, which usually happen in the summer time. Do the same with any glasses, dishes, pots, flatware, and gadgets you might need. 11. It's just a week, do without. If KFP tuna costs $4 per can in your area, and you have no other way of buying KFP tuna online for less, just skip the tuna for 8 days. I feel the same way about KFP cereal (which is sort of disgusting anyway), KFP condiments, KFP almost anything! I know, this is not going to sit well with many of you, but what's the harm in not having certain foods for a week, because they cost more? Passover is just a week and a day. Of course, some foods are an absolute must (like, obviously, matzoh) but can you think of any pricey KFP foods, other than the obvious ones, that you and your family can't skip for a week? If the idea is too overwhelming, buy one or two of the pricey items, no more. Consider it an exercise in responsible budgeting and self-control. 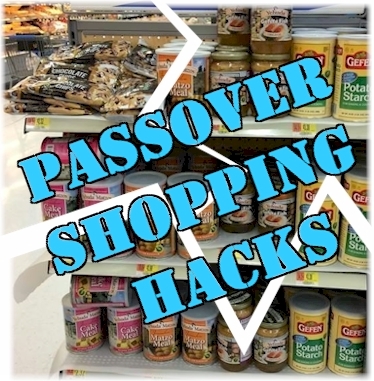 What Passover shopping hacks do you know of that I missed? Email me now, so that I can share it with the rest of the Daily Cheapskate community, (and credit you of course).